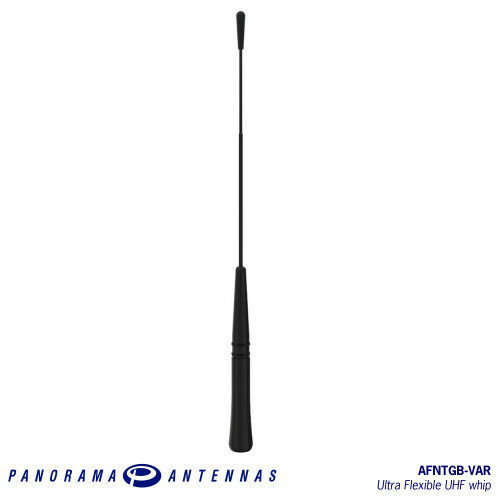 The AFNTGB range offers ultra-flexible omni-directional performance with a peak gain of 5dBi and can be tuned to a range of UHF frequencies. 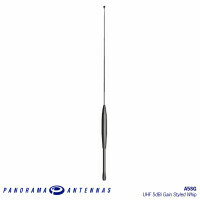 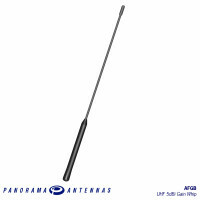 The antenna is designed to be ultra-flexible for low clearance scenarios featuring an over moulded coil and nickel titanium whip which can bend extensively and repeatedly and still return to its original vertical orientation. 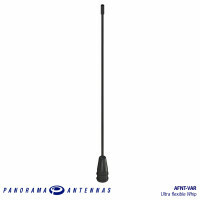 The antenna is installed via the M6x0.75 threaded terminal and can be mounted on a range of Panorama GPS combination bases such as the GPSB and GPSK. 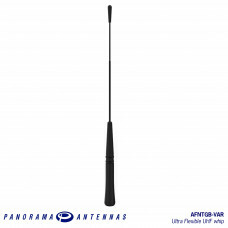 The rigid / semi-rigid length of the antenna is < 100mm (3.9”).